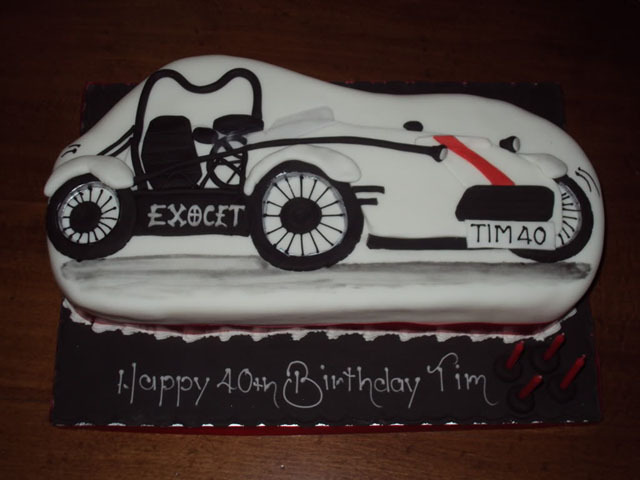 Exomotive would like to wish Exocet builder Tim Lightfoot a happy 40th birthday. We are very jealous of his amazing Exocet birthday cake. Enjoy your birthday and the rest of your Exocet build! I guess this really is the lightest, fastest creation of an Exocet to date! Read more about Tim and his son Joseph’s Exocet build on the MEV Owners Forum here.